A makeup artist accused Touré of sexual harassment in 2017, whereas he calls it “edgy and crass banter”. 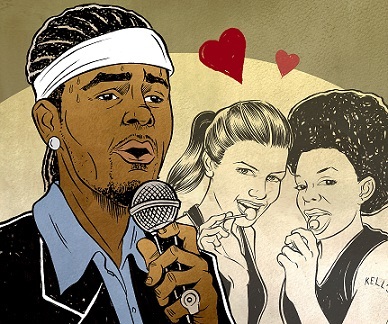 Since the premiere of dream hampton’s Lifetime documentary Surviving R. Kelly, many celebrities have come out to denounce the R&B singer. The documentary was a long-awaited vehicle for young women who’ve allegedly been abused by Kelly to tell their stories. And it also included commentary from those who’ve covered the allegations against the singer over the last decade. Earlier this week, Touré appeared on The Clubhouse with Mouse Jones podcast to once again discuss Kelly. “I worked with him most of 2017, I left in October, before he left,” she claims. After Dani quit, she says she reported Toure´ to human resources. He left Time Inc. after that; according to his rep because his agreement was over. When it comes to living in the #MeToo era, stories have been surfacing about various men and their toxic behavior in and out of the workplace. From Harvey Weinstein, Bill Cosby, Louis C.K., and the countless other men in entertainment, sexual harassment is a much talked about topic more than any point in our history. But in the Black community, there still seems to be a cloud of disbelief when a victim comes forward, as we saw during some of the commentary surrounding Surviving R. Kelly. It takes courage for women and men to admit that they’ve either been sexually assaulted or harassed, and it’s not something that should easily be brushed under the rug. Perpetrators of toxic and abusive behavior should be held accountable for their actions, and understand how their actions have impacted others. Apologies are a start, but what is also needed is a dedicated focus on behavior change and healing to ensure there is no part of our society where this is ever accepted as normal. ESSENCE has reached out to Time Inc., which issued a statement saying they do not discuss personnel matters, but stated Touré is no longer employed at the company. See the comment from Touré via his rep above. Wait... hold up, Hype... is this story credible? Everyone calling for a ban on R. Kelly, I say if we're gonna ban him, we should also ban Jerry Lee Lewis, the Rolling Stones, Elvis, Aerosmith and Ted Nugent. Why all the yelling? Well, the "What Men Want" actress was earlier under fire for sharing a controversial Instagram Story that showed a confusing stance on the rapper, who was recently the subject of the Lifetime docu-series "Surviving R. Kelly." Retailers began reporting Thursday night that they’ve been notified the album has been yanked from the schedule by Universal Music Group. Adams has his own label, Pax-Am, which has a distribution deal with UMG’s Blue Note (whose president, Don Was, co-produced “Big Colors”). Representatives for those labels could not be reached for comment Thursday night. Adams’ Pax-Am label has deleted its own pages devoted to pre-orders for the CD and LP. On top of the forthcoming album being put in limbo, an amplifier company, Benson, has severed its relationship with the artist. 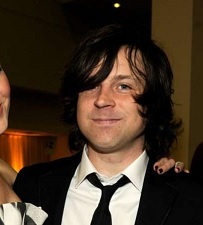 “We are saddened and surprised by the recent allegations against Mr. Ryan Adams as documented in the New York Times,” Christopher Benson said in a statement. The New York Times’ story appeared online Wednesday and was prominently featured in Thursday’s print edition. The newspaper’s reporting spotlighted interviews with multiple women, including an underage girl who’d exchanged sexually explicit texts with Adams, as well as former girlfriends and ex-wife Mandy Moore, who maintained he mentored them during romantic relationships but stalled their careers later. Adams’ previous album, 2017’s “Prisoner,” debuted at No. 1 on the rock, alternative and Americana charts. 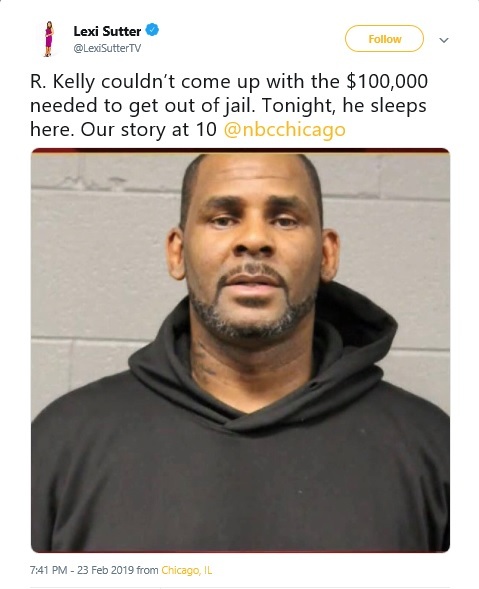 Musician R. Kelly has been indicted on 10 counts of aggravated criminal sexual abuse -- a class 2 felony -- involving four alleged victims, Cook County State's Attorney Kim Foxx said Friday. A warrant has been issued for Kelly's arrest, Chicago police say. There is no age range listed for one of the alleged victims. The charges say Kelly used force or the threat of force.